Author of Creative Change: Why We Resist It . . . How We Can Embrace It. Leading today requires more than just sheer technical competence, networking skills or even vision. To effectively lead in today’s global, volatile and complex world you also need creativity. While creativity can fuel competitive advantage and our emergence as leaders it also comes with significant risks by opening us up to rejection and our ideas to derision. Professor Mueller unveils that anyone can be creative, but why, in some circumstances, women can have a unique and hidden advantage when it comes to influencing others to endorse their creative ideas. By unveiling this hidden advantage and how to exploit it, Professor Mueller provides vivid examples of actionable strategies aimed to help you cultivate creative buy-in - a creative way to both develop your ideas and simultaneously influence others to buy-in and endorse them. Business leaders say they want creativity and need real innovation in order to thrive. But according to startling research from management professor Jennifer Mueller, these same leaders chronically reject creative solutions, even as they profess commitment to innovation. Mueller’s research reveals that it’s not just CEOs but educators, parents, and other social trendsetters who struggle to accept new and creative ideas. Mueller parses the tough questions that these findings raise. Do we all have an inherent prejudice against creative ideas? Can we learn to outsmart this bias? Join keynote speaker, Jennifer Mueller as she combines analysis of the latest research with practical guidance on how to shift your mindset, as she offers a wealth of counterintuitive recommendations to help you embrace the creative ideas you want! 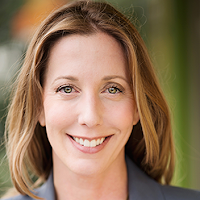 Jennifer Mueller, an Associate Professor at the University of San Diego, earned her PhD in Social and Developmental Psychology at Brandeis University, and has had the fortune of being on the faculty of many top business schools including the Wharton School, Yale School of Management and NYU's Stern School of Business. When she started her research career she was a research assistant at Harvard Business School, working for the wonderful Teresa Amabile on a large, longitudinal dataset which included daily diary entries for over 230 employees in around 26 project teams and 7 companies. Jennifer's early attempts at trying to trap the bias against creativity in the wild failed miserably – people uniformly said they loved creativity. One day, while attending a research seminar on racial bias, she had an insight. What if, just as people can have a positive authentic regard for a given social group, but also hold implicit and unacknowledged negative feelings towards this same group, people could have an outward authentic love for creativity but hide their hate towards it. After this insight, Jennifer published the paper, “The Bias Against Creativity,” which went viral and was downloaded over 65,000 times—receiving more than 100 media mentions and being described as a “famous study” in The Atlantic. 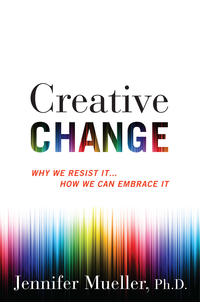 Jennifer's book Creative Change reveals the answer to the question of why people desire but reject creativity- an answer that she believe challenges the basic assumptions about how we recognize creative ideas, creative leaders, and the very fabric of how we structure organizations for innovation.